Tomorrow is one of my favorite days of the year! I love dressing up in a pretty dress and finding a big, fun hat to wear. We go to a fundraiser hosted by our good friends every year and it is always so fun to see the crazy, colorful outfits people put together. However this year I am somewhat terrified. Mikey is down for the count. A nasty flu bug is traveling its way around our family and he is downnnnnnnnn. His Dad and our brother-in-law are also currently under attack. Everyone say a prayer for us!!! I’m hoping my immune system goes into overdrive…fingers crossed! Hopefully Mikey is recovered for the festivities tomorrow (one good thing about this bug is that it doesn’t last longer than a day) and we can post a picture for you (If you don’t follow me on Instagram yet, make sure you start! Search for bethanyevon. Would love to connect with you that way as well!). I found an amazing hat for this year and Mikey can’t wait to sport his new favorite accessory, the bow tie. I can’t believe I was gone from my blog for so long! I was missing my MIMK community so bad during my yoga training and although I’m sad it’s over, it’s so great to be back to my blog fam. Enough about that, lets get to the good stuff and see what I’m crushing on this week! I was searching Pinterest (surprise) for some derby inspiration and loved this black, floral fascinator! So pretty with her understated makeup. I wish we could wear fun hats like this more often! Everything on the How Sweet Eats blog is beautiful. 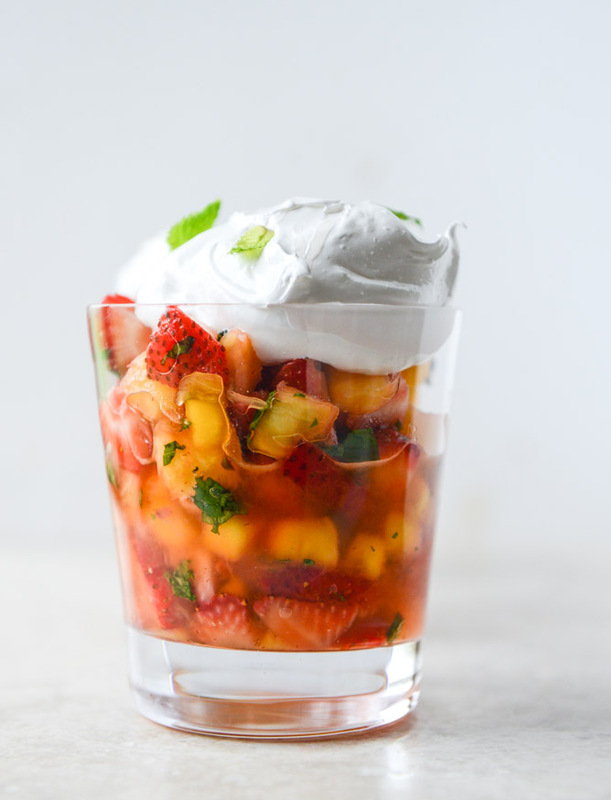 So of course, Jessica found a way to create a fun and exciting new Mint Julep Fruit Salad recipe. So colorful! I’m not a huge floral person. Or at least not right now (I used to say that about skinny jeans, psha! ), which means I’ll probably be wearing mostly florals in a few short months…But anyway, this Kate Spade outfit for spring is perfection. I don’t know if I could pull it off…but Lordy I would try. I am so obsessed with the crop look I hope it stays around forever and ever. I came across this fancy little accessory while searching the inter-webs for derby inspiration. HOLYCRAP how is this thing real. So amazing. I really need to try and get my hand on this/this on my hand (like what I did there). What’s better than a bagel? BUT donuts make your tummy hurt after too many and bagels just make you feel like a strong, carb inhaling machine. I could eat bagels plain, schmeared or filled all day every day. 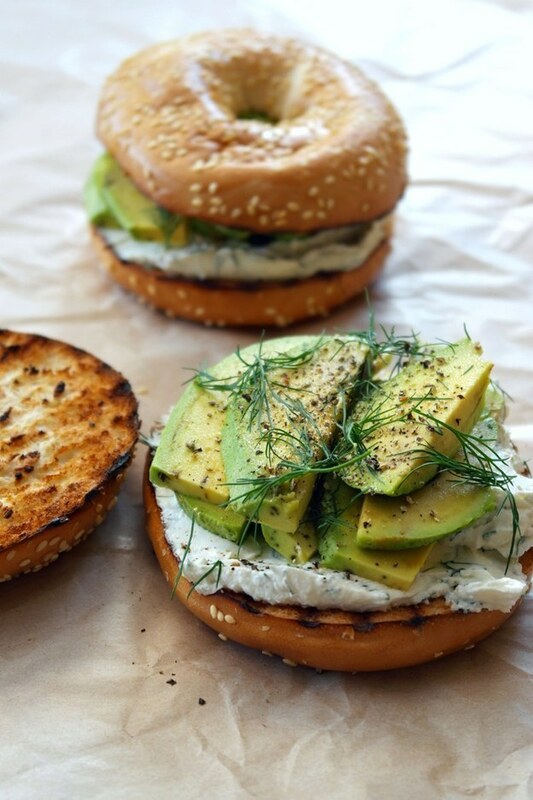 This Buzzfeed list has a ton of amazing bagel sandwich recipes that are sure to please everyone (unless you’re gluten free…but I’m sure you can find a bomb gluten free bagel out there!). 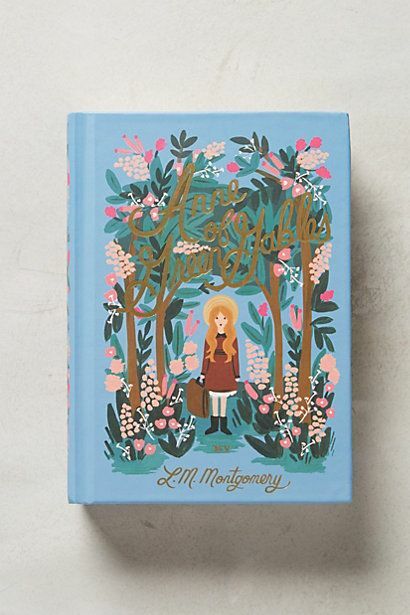 My Mom used to read Anne of Green Gables to me as a little girl. I would lie in bed every night and she would read a few chapters. We laughed and we cried (mostly cried) our way through the books and I completely fell in love with the world of Anne. I found this beautiful version at Anthropologie and think it is a necessity to own. They have a few different classic’s that are all just as beautiful as this one. I want them all. Oh wow, I love the cover Anthropologie made for it! Thanks for sharing – hope Derby Day can go as planned!